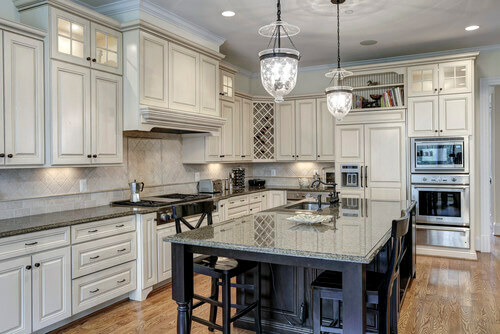 Among the many decisions you will have to make when planning for new cabinetry or remodelling the existing one is whether to install kitchen cabinets all the way to the ceiling or leave some space. Is there empty space above your cabinets? If yes, then it’s time to stop ignoring it. Resting your flower pots or baskets on them is cool but what you may not know is that there’s another better way to utilise this space. Storage really matters a lot in a kitchen and ceiling-height cabinets are known to optimize the storage space. 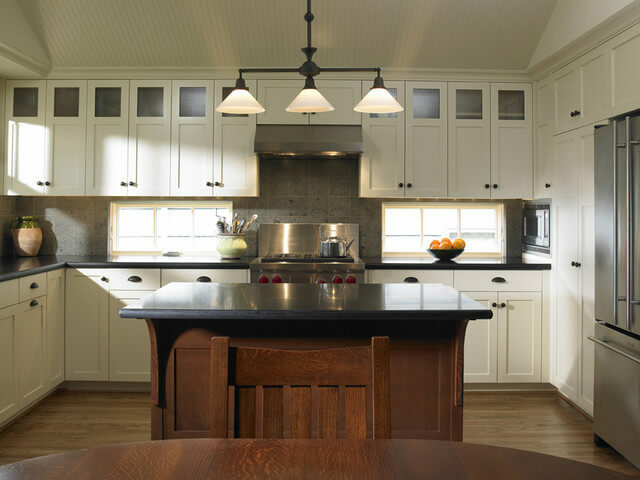 But before deciding whether or not to extend your cabinets right up to the ceiling, there are a number of challenges plus design features to note. The height of your ceiling decides how tall the kitchen cabinets should be. This means that it will impact the size of cabinets you intend to use. Many stock cabinets have been designed to accommodate the typical 8 feet ceiling as this is the standard height in many places. Some of the cabinetry designed to accommodate such spaces will include trim and will extend right up to the ceiling with just one wall cabinet while other cabinetry will have trim but won’t extend up to the ceiling. 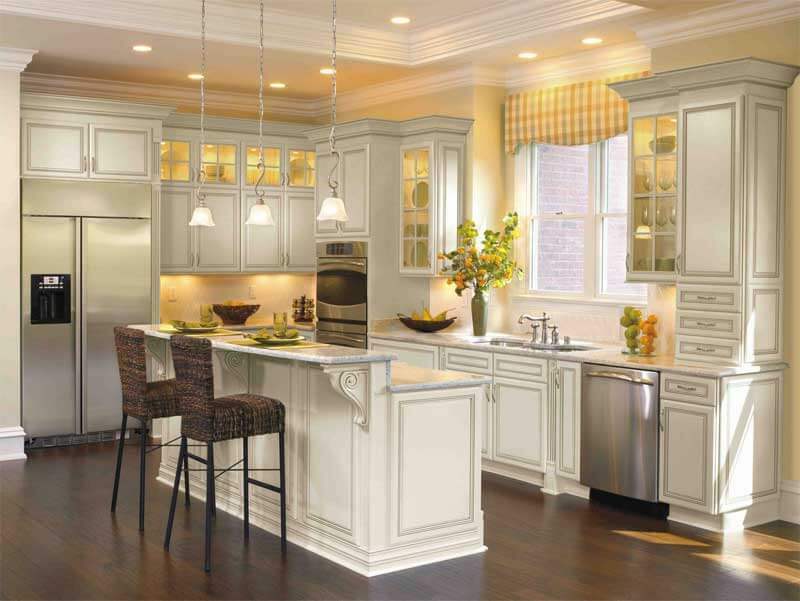 If the house has crown moulding, it will continue around the kitchen and the cabinet and trim will be below it. In the case where the ceiling height is 9 or 10 feet, cabinetry with trim can extend up the ceiling but cabinets will have to be stacked. Note that the cost will definitely increase as you stack one cabinet after another. 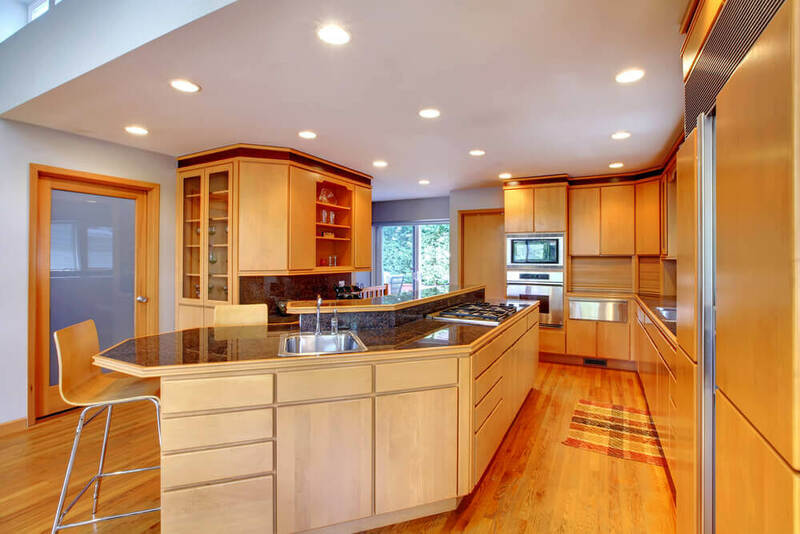 For those whose ceiling height goes beyond 10 feet, it might not be a great idea opting for ceiling height cabinetry as it may not be practical. Climbing to the top of the cabinet could turn out to be a huge challenge. No ceiling is absolutely level, no matter how perfect the construction is. Variances are inevitable and so installing the cabinets all the way up to the ceiling will reveal some irregular spots. Some will be high while others low. So, before proceeding to stretch your cabinetry to the ceiling, examine such spots and analyse how extreme they are. If they are mild or not bold enough to affect the installation, then go ahead with it. Also, there are ceilings featuring beams and/or other architectural details that can complicate the installation of ceiling height cabinets. It’s best if one leaves the beams to exist, especially if they came first before the cabinet. 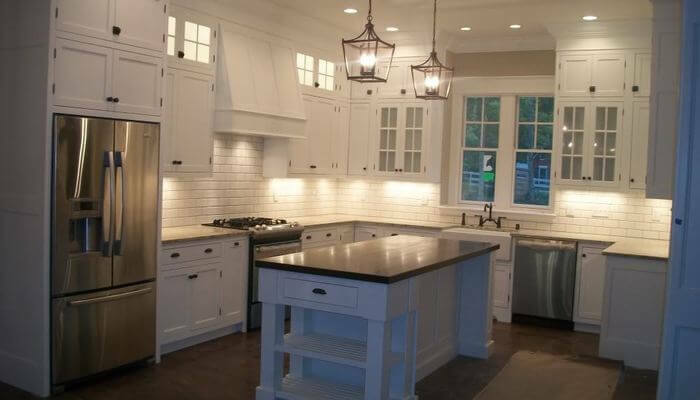 Some of the new and trendy cabinet styles bear different features that could installation of wall cabinets all the way to the ceiling difficult. For instance, some have a complete overlay door, meaning there’s almost no space between the top side of the cabinet and the door. European style cabinet also bear similar features. In conclusion, deciding whether or not to expand your cabinet right up to the ceiling really depends on the factors we’ve just mentioned. 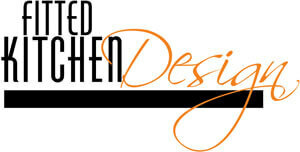 Consider the height and details of your space, storage needs, and kitchen design and style.